When you think of the Spring season, what comes to mind? Flowers Blooming, Sun Showers, Pastel Colors, Birds Singing…. Weddings! What you need to know to kick off your Spring Wedding Season. Winter in LA is a party-throwers dream. The ambiance, the pure joy, and of course, the perfect weather, gives every event a special oomph. 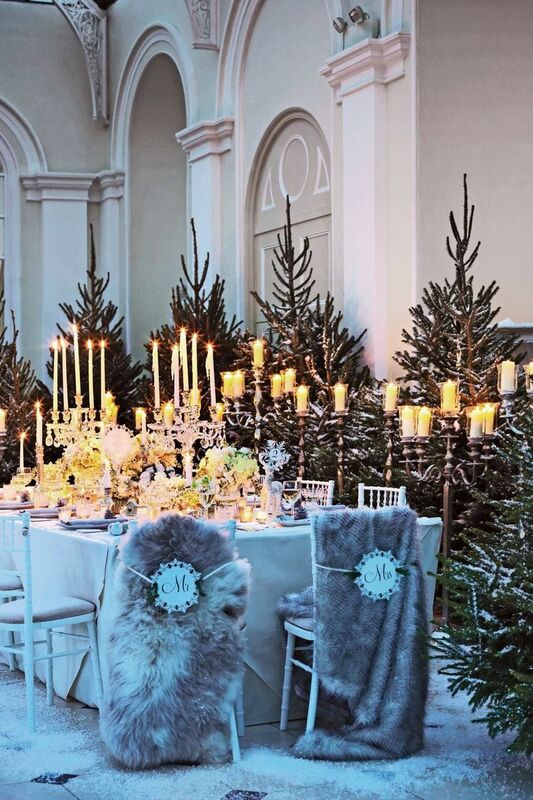 Check out how ROCKNEVENTS pulls off a stunning LA winter event. Looking to spice things up for your bridesmaid proposal? We’ve got you covered with these rockin’ ideas! Is your style totally laid back and casual? Do you consider yourself boho-chic? Nomadic, free-spirited and non-conformist – hippie meets gypsy? You can use music festival trends as wedding inspiration! Imagine whimsical details, flowing dresses, and wild flowers. We love open fields, large estates, or even the beach. Think open air and plenty of space for this non-traditional ceremony and wedding style. Nature is an important part of your music festival inspired celebration. Your venue should help your guests feel as relaxed and laid back as you are! This is where vintage meets rustic. Your colors should be earthy to complement your venue, but at the same time bright and festive to evoke a Woodstock vibe. Wheat. Gold and jewel-toned lanterns. Dream catchers. Neutral lace. Remember that being boho is all about being relaxed and not putting too much effort into the details. Don’t doubt what you like and what you feel matches your style. Check out thrift and antique stores for vintage pieces. Floral design, like the rest of your décor will be effortless. Try mixing vibrant colors with rich tones. Sunflowers with black magic roses. Throw in some feather into the centerpieces and the bouquet to change up the texture. Also mix and match flowers and centerpieces to fuel your non-conformity. 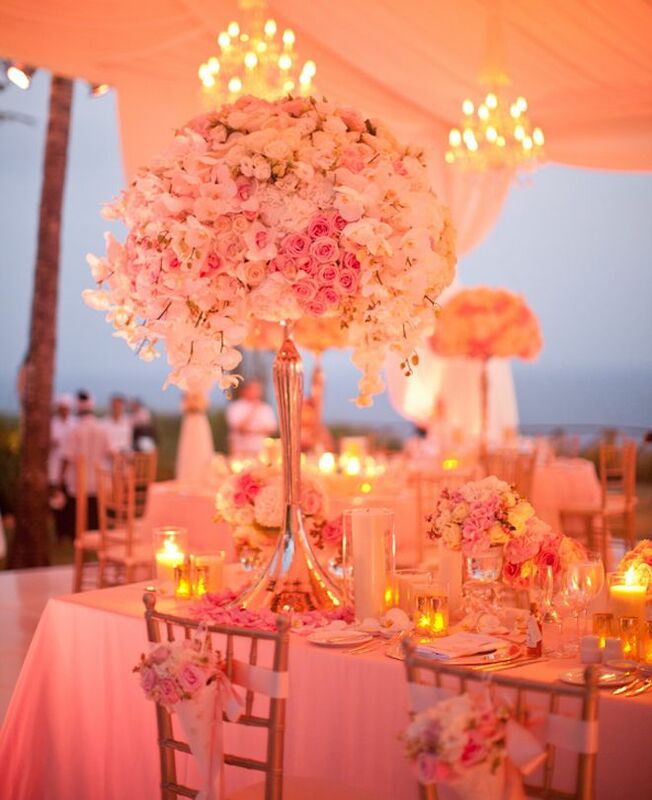 The reception style, like your décor should harmonize with your venue. If you have a backyard setting, go for a picnic-style dinner. In an open field, try teepees as cocktail hour lounge areas. At a large state, have long community tables without seat assignments. And don’t forget about the music (I mean how could you? Your inspiration is a music festival)! Find someone to play acoustic guitar, hire a life bluegrass band, or have a bunch of your friends bring their instruments and play around a fire pit. The headlining act: the Bride and Groom’s looks will be relaxed and effortless. Lace dresses. Chunky jewelry. Top hats. Feathers. The boho-chic Bride’s dress will be stunning regardless of what the dress style -- off the shoulder, bell sleeve, layers on the bottom. Think Stevie Nicks meets Lana Del Rey. Don’t be afraid to put some flowers in your hair! The Groom will find inspiration from Johnny Depp, Jimi Hendrix, or Tom Petty. We think music festival groom is rock n’ roll meets bohemian. There has never been a more iconic & synonymous company with Weddings & Proposals as "Tiffany & Co."
During that special evening, when you feel the anticipation rising & he slowly falls to one knee every woman wanted to see BLUE! (Tiffany Blue to be specific!) It may very well be every woman's dream to at some point in their life receive a Tiffany Blue box with a little something special for them inside. Whether that is an engagement ring or a personalized necklace, Tiffany's is Tiffany's! Although, when we hear Brides who say they've always envisioned a Tiffany & Co. wedding we quickly realize it may not be as simple as re-imagining an iconic movie! When you think of Tiffany & Co., you can't help but imagine the great Audrey Hepburn! When Brides come to us with the inspiration of "Breakfast at Tiffany's" what they are really saying is, "I'm inspired by Audrey Hepburn". Who wouldn't be inspired by the fashionista of Hollywood's Golden Age? Recently, Dove Chocolate digitally re-created the late actress in a commercial that received major media coverage. If this does not show how current Hepburn's influence has remained in modern fashion, then I don't know what does. As a major Hollywood actress, Hepburn pushed a lot of Hollywood's fashion barriers, many which would seem minor in current trends, but her sass and beauty created the icon we know and love today! Beyond her glamor & brilliant stage presence, Hepburn's wedding to Mel Ferrer showcases how seamlessly her inspiration translates into modern wedding design! We completely love and are as obsessed with the idea of a Hepburn inspired wedding as you are. Is that a flower crown we see? Of course the fashionista was rocking the modern bridal floral crown circa 1954. We found the P E R F E C T Audrey Hepburn inspired Bride & Groom couple & decided to create an inspired wedding board for those who can't stop seeing Tiffany Blue! (After this, we can't either!) Whether you decide to go with the Tiffany's theme (which our inspiration lends itself to) Or you decide to channel your inner Hepburn, we fully support you! Our RNE PRO TIP: for channeling your inner Hepburn! Look thorough "Audrey Hepburn" on Pinterest. Not only in her younger years, but the woman slayed it throughout her entire career! Her sense of style & glamor is the best inspiration we can find! Have fun being inspired & hope you start pinning these as much as we have! And if you can't convince you future Mr. to go for the all-out theme? A Bridal Shower at Tiffany's is an easy fix! You can have so much fun with the pearls & glamor idea! You will never hear a Bride & Groom say, "These pictures are great! But we could have gone without these wedding photos." Yes, those post-ceremony photos may be exhausting, but in the end they give us those "aww" moments that made them worth it! While many future Mr. & Mrs. primarily look for price when booking a wedding photographer, as coordinators, we highly emphasize style & value over cost. Apart from detail shots, wedding photos are a H U G E addition to any wedding theme or style. Many Brides & Grooms aren't aware of the various photography styles they have at their disposal! The list goes on & on, but the important thing is: OPTIONS! We love options & try to make sure they don't overwhelm our couple but emphasize how this is just another step in making their day truly memorable! "We just want crisp & clean photos of our wedding." - A common phrase we hear from our future Mr. & Mrs. (Cue, the endless wedding photo samples) It's at this point we notice they do in fact have a distinct vision or vibe they want to convey through their photos. "We love that pose!" "Oh, no we don't like that." "Oh, that's an amazing shot." Every photographer has a niche, a style they either enjoy photographing or prefer to work with. Spending an hour or so, over a cup of coffee, will give you the opportunity to create that relationship with your photographer that will allow you to create the exact look & feel you want for your photos. So to showcase some of our favorite wedding styles we've created "Photography Boards" below to help you narrow down your favorite wedding photography style! While "vintage" can range from anything between hipster to 1920s inspired, we've narrowed it down to a simple adjective "Filtered". Whether your photographer edited post-shoot or is crafty with the settings, these photos process with an airy- light feel. Now, this style may not require much description but for the sake of being thorough. The Old-Hollywood style is not only shot in black & white or sepia tones, but can simply emphasize that classic glamour & drama. Just as the name suggests, these photos offer magazine style poses & photography aesthetics. Think Brides Magazine shoot or The Knot cover photos. This style offers those crisp, clean images that most Brides & Grooms nowadays flock to! "Natural" lighting involves how the photographer utilizes the natural & surrounding light. These images typically create a lighter feel & allows for a more natural pose. Nowadays, this niche lends itself to "Natural-themed" weddings as well. As you can tell, we can go on & on about how important it is to not only identify the photo-style you wish to incorporate into your wedding, but also specific shots you want taken. Speaking to your photographer, getting to know their style & giving them a heads up on specific shots you want is a great way to start your wedding photography journey! At the end of the day, That album is going to be so amazing! "What is the T H E M E of your wedding?" If you can dream it, we've probably heard it as a theme for a wedding. "What is your overall V I S I O N of your big day?" So why would we ask seemingly the same question twice? Because, there is a difference between having a theme and having a vision of your day! And ROCK N' EVENTS is all about distinguishing the two! 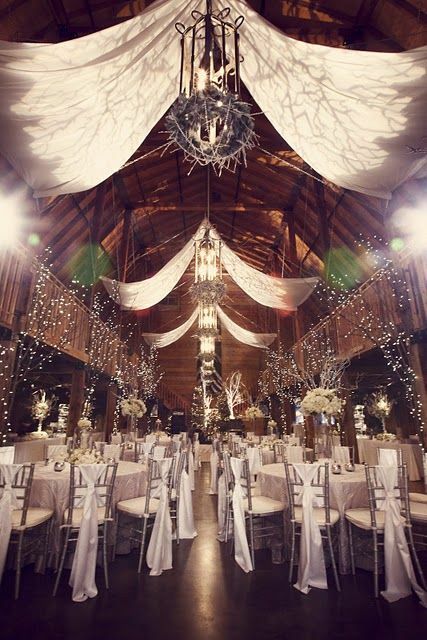 Theme: An inspirational idea that can directly or indirectly influence the design of a wedding/event. Vision: A clear/concise idea for the overall design, concept and details of a wedding/event. 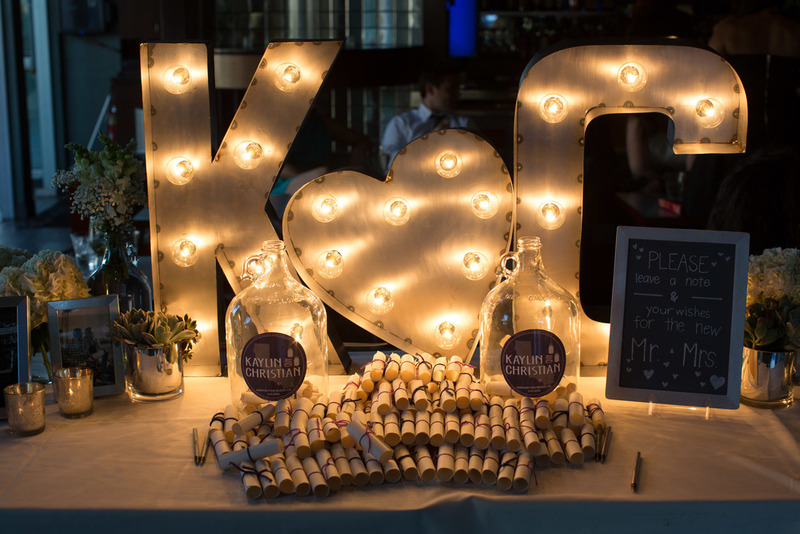 When a Bride & Groom come to ROCK N' EVENTS with a theme we understand that means they have been inspired by an idea that can be crafted and personalized to fit them. Typically an excess of Pinterest is involved (which we love & fully support!) and the couple has fallen in love with the idea of implementing these details into their big day! These couples are very open to our design ideas and typically allow us to create a full design concept specifically for them. When a Bride & Groom come to ROCK N' EVENTS with a vision of their big day, we know they mean design business. A couple with a vision already know exactly how they want to design their wedding and we, as designers, need to deliver this pre-envisioned wedding/event to the best of our ability. When working with a couples vision it is our job to translate this into realistic goals for their event and provide alternatives when our professional opinion is required. A vision also extends past the overall design of the event. A vision also includes the overall aesthetic, production and vibe of the day. A theme is knowing which brand of car you'd like to buy. A Theme is knowing you want an ivory bridal gown. Now we don't want to sound like a vision is the overbearing parent to the traditional idea of having a wedding theme, but it's is the more detailed of the two. One of our favorite moments during a consultation (after listening to the Proposal Story of course!) is hearing all the amazing ideas a couple has for their big day. We highly encourage an detailed theme when discussing weddings with our future Mr. & Mrs., but understand the difference when we have a couple with a specific vision. So whether you have the most detailed and vivid vision of your big day, or you just really love the color coral, never forget the most important detail in every wedding: You Two. The second most important aspect is having a coordinator who understands and respects your vision or inspiration! You can always count on the Rockstars at ROCK N' EVENTS to rock your design! When searching for your full-service or day-of coordinator, always remember to find someone who compliments your vision, not complicates it. Also, when meeting for an event or design consultation bring along any photos or inspirations you have to show your coordinator! Or just pull up your Pinterest! People who Pin together, Design together! Below are some design inspirations to fuel that design fire in us all! Whether you enjoy the simpler designs or the all-out concepts, we know you will find the perfect fit for your special day! Follow our Pinterest for more inspiration! "Should I hire a coordinator? or Can I do this on my own?" Realistically, every Bride & Groom do not contract a coordinator to help them plan their big day, but the ones who do will tell you the benefits of having someone who knows the business in your corner. Whether you decide to hire a full-service planner or simply a day-of coordinator. You will find there are two distinct types of planners; with two distinct planning styles. It's really as simple as the name implies. Outside-coordinators work alongside your venue, while an in-house coordinator will work for the venue. So as a couple, who is the best event planning choice for you? -If you decide to hire an in-house coordinator, typically you are hiring their Catering Manager. This means that stylized, designed vision you had may be completely your responsibility. ROCKNEVENTS (and outside-coordinators) are typically design centered & specialize in detailed themes and ideas! As event/wedding designers we never expect our Brides & Grooms to have their entire vision complete. It's our job (and our favorite part of the planning process) to find those small details that will make your wedding stunning. As your designers, we are here to compliment our couples not complicate the wedding process. -An in-house coordinator is typically seen as a bonus for booking the venue. Which they may be, but this simply means they work for the venue not your vision. ROCKNEVENTS is 100% about you and your vision. From the moment of booking to your big day, we are 100% focused on bringing your vision to life! Again, we love designing! We are as addicted to Pinterest as you are and we'd love to see that secret board no one knows about! Our bonus is working for you! We love hearing all your ideas, no matter how insane they may seem. When we meet our couples we can't help but become so obsessed with their vision and how to make it come to life! It's never a bonus for our clients to work for us! It's our HONOR to work with you! -Like any business, a venue is ultimately focused on doing business. Which includes pumping up their Preferred Vendors, whether or not they fit your wedding style. ROCKNEVENTS also has a Preferred Vendor list, but at the end of the day we're here to bring your vision to life. If none of our Preferred Vendors fit your style we'll research your options until we find "The One". It's as simple as that. No one should feel pressured to hire a photographer because, "They've photographed our venue countless times." You should be confident in every vendor you book and never wonder if they endorsed them for anyone other than you! When working with an outside coordinator you immediately widen your vendor network. We are constantly connecting with new vendors and have no proximity limit to our design style! -Lastly, when working directly with a venue, chances are you will simply become a calendar date. You may meet and discuss event details, but that personal on-on-one touch may never become a factor. At ROCKNEVENTS we pride ourselves in our personal design style. We love to get to know our Brides & Grooms and in-corporate details into their day that they may not have thought of! 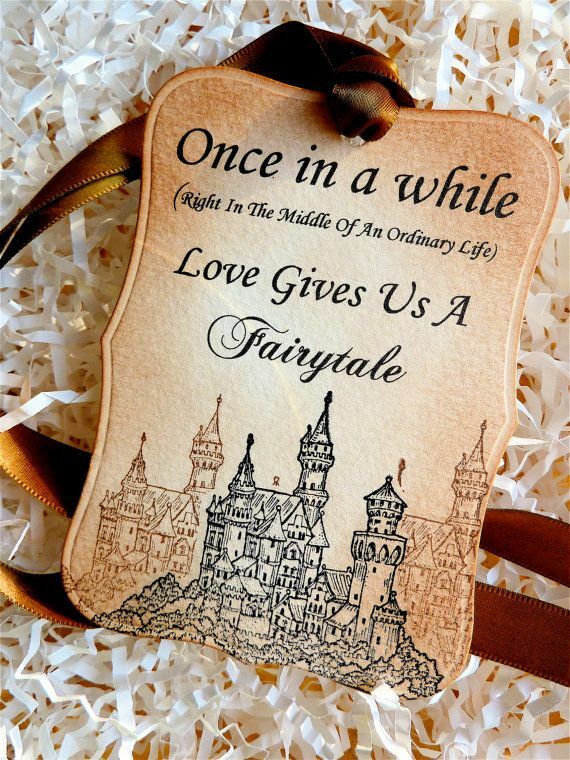 We love to finding out the smallest details from how you met, to the proposal to how you each envision your big day! No wedding should be designed simply because it worked for the last couple. Your big day is all about what makes you two unique an how it celebrates your love! As we've said before, Rock N' Events is in the business of L O V E. We can't help but fall in love with our couples and how they envision not only their big day, but the rest of their lives. No couple should ever feel pressured or cornered in any wedding decision! So, whether you decide on an outside or in-house wedding coordinator, find the best fit for YOU and Rock your Big Day! From Starbucks Frappuccino loyalists to Coffee Aficionados, there is one universal truth. If you sit in any coffee shop for long enough, you will find them. The couple too enthralled in each other to find a second to take a sip. He absent mindlessly stirs the coffee he has neglected, while she nervously attempts to warm her fingers around the coffee she too failed to drink while warm. Small talk turns into life ambitions, and as their talks become deeper so does the space between them. They don't realize the commotion around them and the small enough table becomes too large as they lean in to better hear the other. Is this their first date? or maybe their third? Did they meet here? Or Have they been friends for years? The couple living proof, it's not about the coffee, but the people it brings together. Friendships are formed, business deals created and love all have one thing in common. They were most likely created around a warm cup of coffee. What better way to celebrate love than incorporating it into your big day! 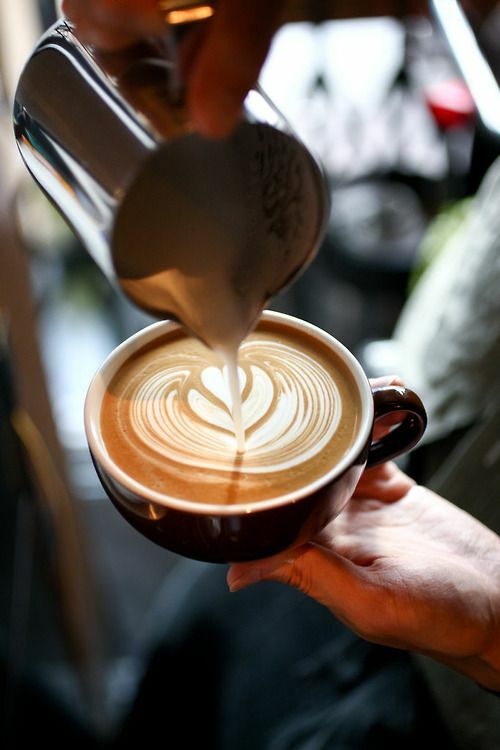 Latte Art designers, creating coffee art for your guests! But seeing unique and note-worthy wedding themes is what makes our days so much more entertaining! We not only love our coffee *we are not the aficionados* (even if we are currently enjoying a cup at our second office aka local coffee spot), but we love how it brings people together in romantic & non-romantic ways! A coffee themed wedding fits perfect with most themes and brings an air of rustic-antique feel with a side of that modern hipster flare! We designed a "coffee" themed wedding with our Frappuccino & Aficionados in mind! Whether you go all out or just incorporate small details, we know you'll love the inspiration board we created below! A small note that found its home on the bathroom mirror just to tell you how beautiful (or handsome) you look. A day when the clothes are folded, that cabinet is fixed and the shower-head no longer spits water in every direction. A bouquet of roses delivered just in time to save a rather boring work day just to show they were thinking of you. A night spent in with nothing but a re-run movie and a big bowl of guiltless popcorn. A night spent in each others embrace, no words, just you two. It's not uncommon to find your heart fluttered a little harder when you skimmed one of these scenarios. The reason (If you haven't already crammed on this book-goodness): The 5 Love Languages. We may not be experts on love, but we are in the business of love! So we make it our business to make sure love is always on our (and everyone's) mind! The 5 Love Languages was written by Gary Chapman and has inspired and reinforced relationships by simply telling them to discover. The beauty in love languages? They apply to every relationship you will ever have! Romantic, familial, friendship & even work can benefit from one of these languages! (Obviously, touch should be avoided in work-related instances. We don't want any calls from HR!) It's all about finding how others receive and give love/support/encouragement. So what are the 5 Love Languages? Because sometimes we just need a gentle reminder. A little something that says," This reminded me of you." Your undivided attention is all I need. Taking the online quiz is your first step in finding what your TOP love language is! Make it a fun dinner conversation or take the quiz together! That way you can both see and understand each others love language. Love is a beautiful exchange between two people and should be celebrated everyday! Not just on your wedding day. Find your love language and share it! Welcome to the ROCKNEVENTS blog. Journey with us as we take you on a tour lined with luxurious design and behind-the-scenes access.